Totem is a Cooperative Work company based out of Basque Country. The production is entirely made in Hernani (Gipuzkoa). 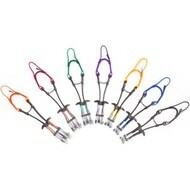 Their mission is to supply the climbers community with quality protection gear. They are focused to improve the production processes and management systems to achieve what is demanded by the customer: good products, competitive price, and on-time delivery.